The jute sector in West Bengal has not seen any major wage revision after 2011. An average worker is still paid Rs 257 a day, say workers. Kolkata: Over 2.5 lakh jute mill workers in West Bengal are gearing up for an indefinite strike from March 1, demanding wage revision and implementation of the Minimum Wages Act in the jute industry. The strike across all jute mills in the state is expected to impact over 4.5 million jute growers. 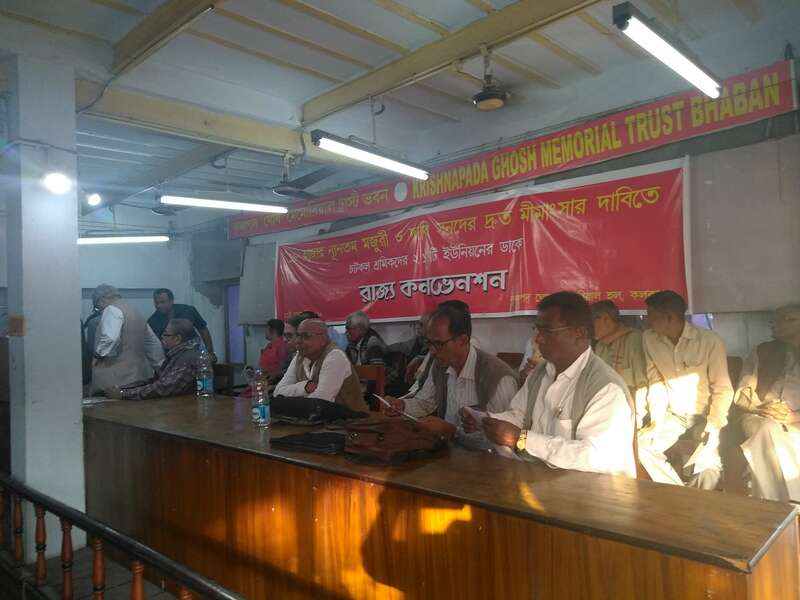 The strike plan was announced at a press conference here by Anadi Sahu, General Secretary of the Centre of Indian Trade Union’s West Bengal State Committee, on the sidelines of a joint convention comprising 21 trade unions working in the jute sector. The jute sector in West Bengal has not seen any major wage revision after 2011. Workers said they were still being paid Rs 257 per day. The proposed strike notice will be given in three days to the office of the West Bengal Labour Department and to the Jute Mill Owners Association “both of whom have repeatedly dilly-dallied over the long-standing demand of the jute workers in this regard,” said Sahu. “Even masons are paid more than Rs 500 per day and mason helpers get Rs 350 a day, said Nagendra Paswan, an employee in the Titagarh mill, compared with the pittance that an average jute mill worker gets for heavily labour-intensive and physically strenuous work. Criticising the government for ignoring workers’ concerns, he pointed out that Union Textiles Minister Smriti Irani even refused to pay heed to the jute workers’ demands when several unions met her. In the joint convention, many jute workers also alleged that the ruling Trinamool Congress (TMC) and its MLA Arjun Singh were playing the role of “union busters” in the Naihati- Titagarh- Barrackpore worker colonies, citing a January 7 incident, when TMC “goons” allegedly attacked workers for refusing to enter the mill premises to work despite being forced by the “ruling party mafia . Unions in the jute sector also alleged that the PF trustee boards at the mill level had been “forcefully” taken over by the “ruling party mafia”.